Imagine spending beautiful days in Myrtle Beach staring off into the azure blue horizon of the Atlantic and enjoying hours of fun in the sun with beachfront water recreation. When you stay in one of the many fine hotels in the Myrtle Beach area that offers beach access, this incredible vision will become a reality for your vacation. 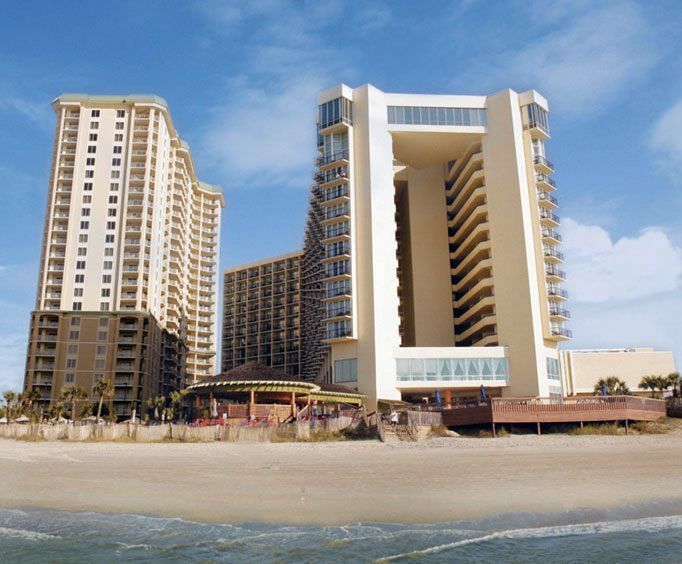 Make plans to stay in one of these lovely Myrtle Beach hotels on your getaway and enjoy beach access, great views, and abundant beach-style recreational activities. When you stay at the Hilton Myrtle Beach Resort, you will enjoy easy access to Myrtle Beach's hottest attractions as well as the serenity and recreation of the Hilton's private beach. Each of the 385 guest rooms at this hotel have been beautifully decorated with luxurious furnishings and provides you with triple sheeting on the beds, a microwave, and premium cable channels. In addition to access to a private beach, you can enjoy the thrills of the on-site water park, relax with a treatment at the Kiva Day Spa, or enjoy the recreation of the tennis courts and fitness center. When you stay at the Royale Palms, you will be close to great attractions like the Tanger Outlet Mall, the Broadway at the Beach, and Myrtle Beach Pavilion. Enjoy delicious meals on-site at the Cafe Amalfi restaurant, or at the poolside restaurant. The hotel boasts well-appointed guest rooms along with fine amenities like an outdoor pool, fitness center, and par-72 golf course.The many amenities will make it easy for you to relax during your time at the Royale Palms. 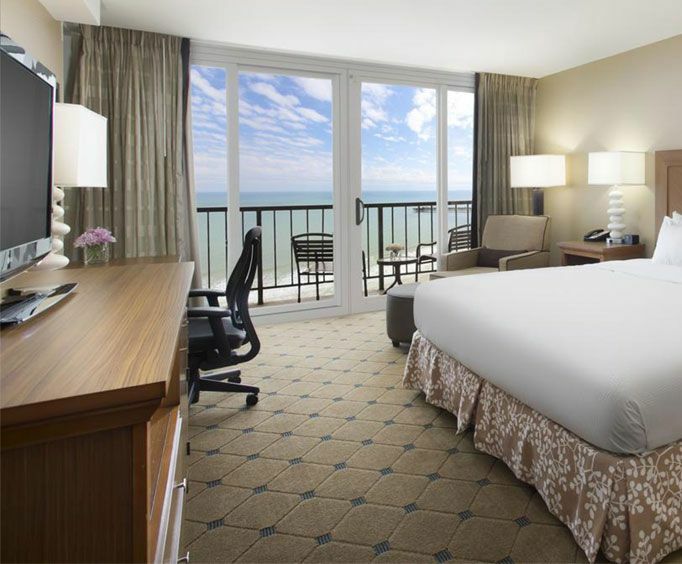 The Sands Ocean Club Resort is a gorgeous home away from home in Myrtle Beach that provides you with top notch amenities as well as a premier location on the beach. 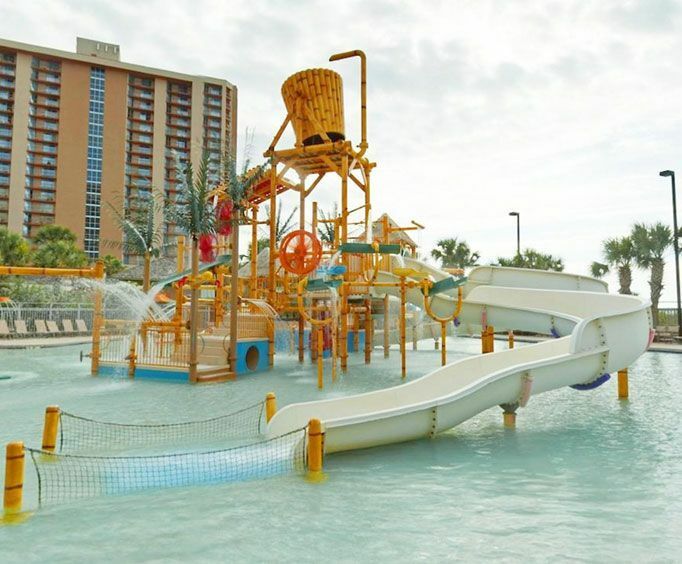 On-site, your family can have fun playing in the sun in the private water park or let the kids burn off some extra energy at the hotel's children's center. The hotel also features live entertainment, a restaurant, and premier spa. You can also stay at the Best Western The Carolinian Beach Resort. This gorgeous beach-front hotel that provides you with proximity to Broadway at the Beach and Myrtle Beach Pavilion Amusement Park. The on-site restaurant serves breakfast, lunch, and dinner daily in a grand buffet-style setting. The hotel also features an oceanfront pool, lazy river, and kiddie pool.